If you're on the hunt for an epic gift for the adventure-lover in your life, then you'll want to check out these awesome canyoning tours. In the Blue Mountains and on the South Coast, there are two tours available to gift that will make them scream with excitement. Check the two tours available below and choose to gift a Rainforest Canyoning tour on the South Coast or an Empress Canyoning tour in the Blue Mountains. 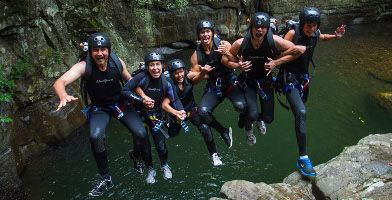 This canyoning tour on the South Coast is an awesome gift for those thrill-seekers out there! Buy a voucher for this experience online here! 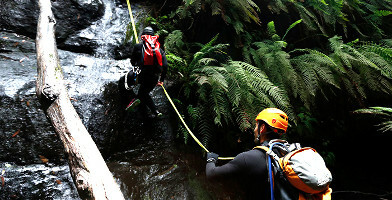 Give the gift of adventure with this canyoning tour in the Blue Mountains, New South Wales. Buy an experience voucher online today!